1 – What Does SIM Stand For? SIM in an acronym for Subscriber Identity Module. 2 – What Is the Purpose of a SIM Card? A SIM contains a globally unique serial number (called an international mobile subscriber identity aka IMSI or IMEI) that your cell provider can match to your contract and then allow the appropriate level of service (i.e. voice, 3G data or 4G data or no data, texting or no texting…). 3 – Will My Phone Work Without a SIM Card? Partially. The phone, text and cellular data functions on your cell phone require a SIM card because you need a SIM to connected to a cellular provider (like Verizon, Telus, Bell, Orange…). However nearly all other functions (streaming Netflix or just surfing via WiFi, camera, calculator and flashlight apps, …) will operate fine without a SIM. 4 – Can I Move My SIM Card To A Different Cell Phone? Yes. As long as your two cells came from the same provider, OR the new cell is “unlocked”, you will have no problem moving your SIM to a new device. If your current SIM card is too large, you can cut it down to size. If your current SIM is too small you can purchase a SIM expander. 5 – How Much Memory Is On a SIM Card? A modern SIM card contain 64 Kilobytes of memory. That roughly translates to space for just 64 000 characters. That may not sound like much but it is the same amount as the best selling computer in the world, the mighty Commodore 64 and is the also the same amount of memory used by the “Apollo Guidance Computer” moon shot computer. 6 – What Data is Stored On a SIM Card? Advice of Charge Governs payments and receipts of your services. Authentication Key Ki Recognizes you as the authorized user. International Mobile Subscriber Identity IMSI Allows the network to identify the device. Mobile Country Code MCC Identifies the country of origin by a two- or three-digit code. Mobile Subscriber Identification Number MSIN Ten-digit code that is the link between you and your cellular carrier. Mobile Subscriber International ISDN Number MSISDN A code to decipher who you made calls to. You can change this number. Local Area Identity LAI As your data travels between communication points, the SIM stores codes about the local networks. Personal Identification Number PIN The code you use to lock and unlock the phone. Service Dialing Number SDN The numbers used to access your services like voicemail. Service Provider Name SPN The name of your cellular carrier. Short Message Service Center SMSC The service center(s) where your text messages are processed. Unblocking Code PUK If you enter the wrong PIN too many times, the phone locks. The PUK, retrieved from the carrier, unlocks the phone. Integrated Circuit Card ID ICCID The card’s unique serial number. Value Added Services VAS The services and applications that you use or pay for, like call waiting or forwarding. 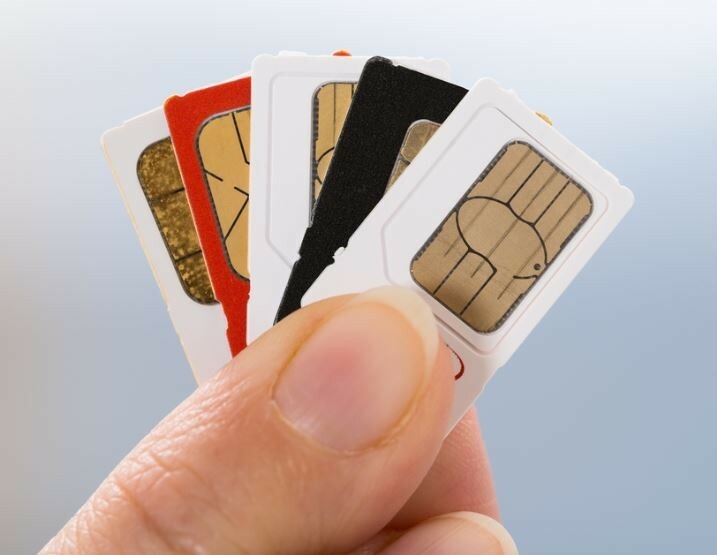 7 – Why Are There Different Sizes of SIM Card? 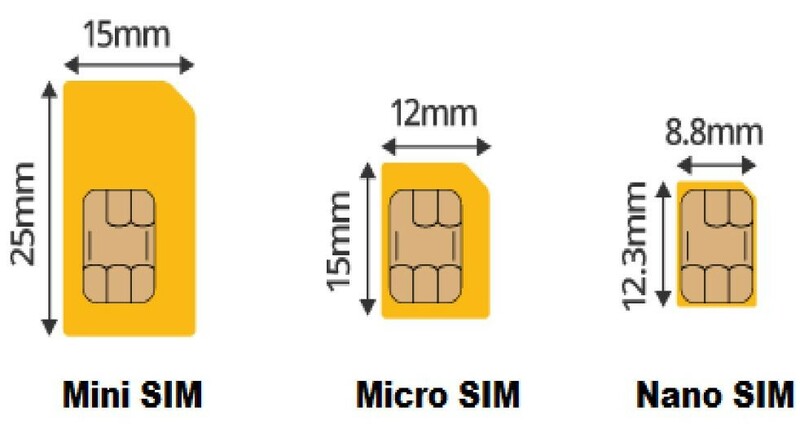 There are different sizes of SIM cards because cell device makers (Apple, Samsung, Nokia, Microsoft…) want SIM’s to consume smaller space as the develop thinner and lighter products. The SIM chip that you see on a SIM card is really all that counts. The plastic around that SIM is just to make it easy for your human hands to hold. MicroSIM, NanoSIM… are just a bigger or smaller piece of plastic around the SIM chip. 8 – Can SIM Cards Be Cut Down To Size? 9 – Can my SIM Card Be Used To Track My Physical Location? Indirectly. 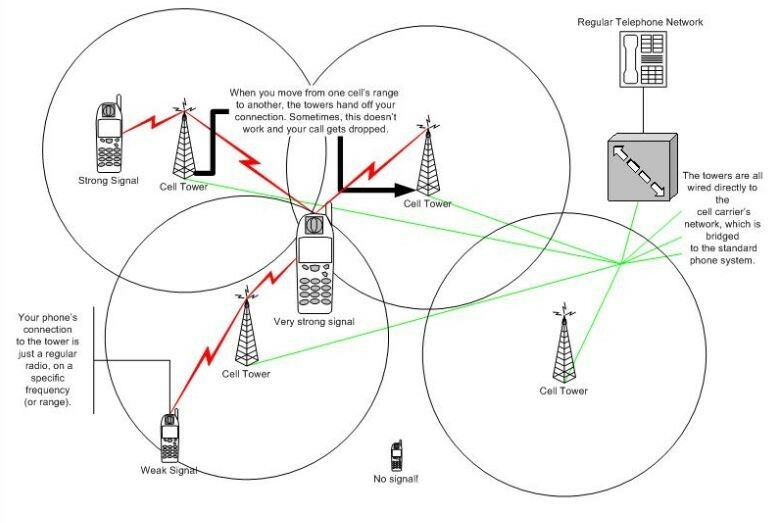 SIM’s allow your cell phone (or other mobile device, like some high end tablets and many new cars) to connect to a cell tower with a known location. As you physically move the SIM is always negotiating with the wireless towers in the immediate region to connect to the nearest/strongest one. 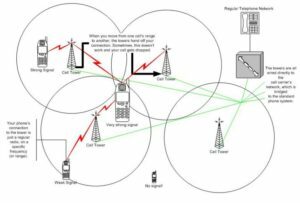 Phone companies, cellular providers and police can use complex algorithms to see how strong your cell phone signal is to other towers and to narrow down your location. That cell tower triangulation can be combined with other data to substantially improve accuracy. Some services like Googles FIND MY PHONE and Apples FIND MY iPHONE also use WiFi data (assuming your WiFi is turned on) to further increase the precision of their location services. This tracking data can be even further enhanced with GPS information. Remember that nearly all Cell phones have GPS receivers but not TRANSMITTERS. This means if your cell has no access to data (i.e. WiFi is off and you don’t have cellular data enabled on your plan or device) GPS is useless to someone trying to track you. SIM/Cell Tower, WiFi and GPS combined provide cellular operators and law enforcement with and incredibly accurate and real-time location tracking ability. 10 – Are SIM Cards Waterproof? Yes. SIM cards are waterproof but the port that they slid into on your cell phone may not be waterproof and so water could get inside your phone and destroy it. All but low end cells are now at least “water resistant” meaning that the jacks/ports are sealed so this is less of a problem as each new cell phone model comes out. 11 – Are All SIM Cards The Same? No, the circuits within a SIM are different depending on the technology involved. 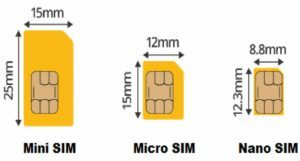 The different “Generations” of cellular networks (aka “G”) may require different hardware inside the tiny SIM card chip. For instance so called “5G” networks are starting construction in 2019 and there will be a new SIM for 5G available by the summer of 2019. 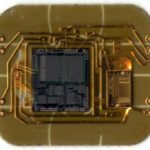 12 – What Is Inside a SIM Card Chip? The chip on a SIM card contains a processor, memory and security circuits. Click the image on the right to expand it. 13 – How Much Does it Cost to Manufacture a SIM Card? Exact figures are not readily available but after the first year or so of manufacturing, SIM’s cost more than a one dollar to manufacture. Today SIM chips cost a few cents each. This does not include the substantial cost of design, development, inserting onto a plastic card, printing, packaging and shipping of these little wonders. 14 – Who Controls SIM Cards? European Telecommunications Standards Institute (ETSI) still controls the primary SIM patents but Nokia and others control dozens of associated patents that are required to make SIM’s function. SIM cards are promoted by the SIM Alliance which can be communicated with through their Twitter account @SIMalliance . 15 – Who Is the Largest SIM Card Manufacturer Today? A global player, headquartered in France named Gemalto is the largest producer of SIM Cards in the world. Gemalto has said they will have the worlds first SIM card for 5G networks available for mass production before June 2019. 16 – How are SIM Cards Manufactured? “The present invention provides a method for manufacturing a SIM card without using a carrier card. An array of conductive modules is formed onto a first surface of a substrate. These conductive modules are spaced apart from each other with spacing configured to provide peripheral portions surrounding each conductive module. 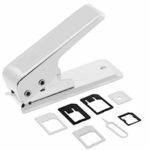 The peripheral portions are sized to provide sufficient substrate parts to form the SIM card body based on the industry standard. 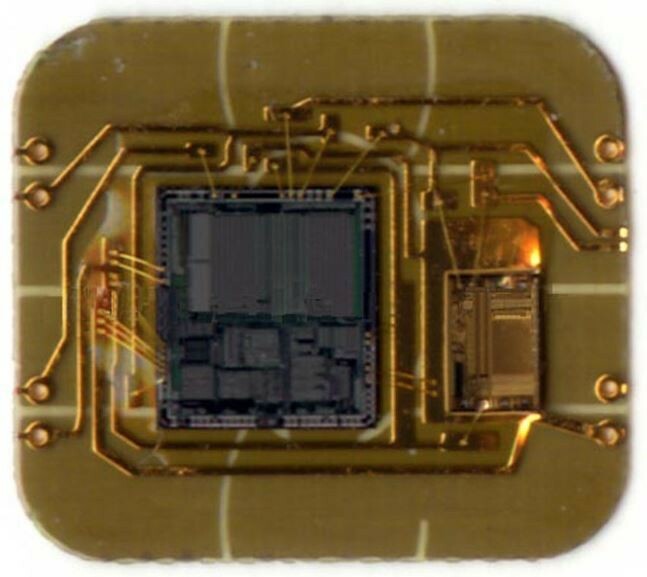 The substrate is then trimmed to form SIM card bodies and an IC chip is bonded to a second side of the substrate. The IC chip is then encapsulated and thereafter, a molding process is carried out to supply and form a molding part to cover the encapsulated IC chip and also flatten the bottom side of the substrate. The molding part together with the substrate forms a SIM card with the thickness conforming to the industry standard. 17 – Who Invented the SIM Card? The SIM card was “spec’d” in by the European Telecommunications Standards Institute and first produced in Germany in 1991 by Giesecke & Devrient. 18 – Why are SIM Cards So Expensive? To oversimplify the situation, no-one selects at cellular carrier based on the cost of the SIM. SIM cards cost $5 in the mid-2000’s and now frequently cost $20 to $25. It is like a baggage charge on an airline; people see the cheap ticket price and forget about the (required?) add-ons until they have already purchased the product. Very little, other than their application. 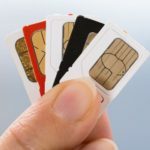 SIM’s are used to connect devices (cell phones, security cameras, cars…) to cellular networks while Smart Cards are most frequently used in payment cards (debt, Visa, MasterCard…) and contactless security cards (think unlocking doors). 20 – Do SIM Cards and Smart Cards Break? Yes. You will know you have a bad SIM if you are losing connection or cannot connect at all to your cellular provider (Telus, Verizon, Orange…). 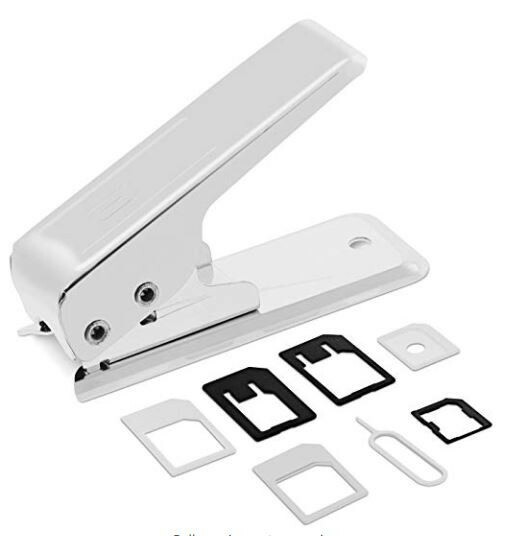 Most Smart Card readers (i.e. payment systems) will tell you the chip is defective if you try to use it and it fails.